Picture this: you and your team have just developed a great app. You’ve completed the necessary testing, and you’ve fixed every issue with the app. The hard part is over, and your app is finally ready for launch. All that’s left is for you to send out a product launch email to announce your new app. Sending a product launch email seems simple compared to the all the effort you put into developing your app, but it would be best to not take it so lightly. The success of your app launch may hinge on how you go about your launch email campaign, so you need to make sure that your strategy is on point. There’s no need to worry, though. Regardless of the type of app you developed, here are some strategies to help you ensure that you make a great impression on your subscribers so that they open your email and download your app. According to Campaign Monitor, your email is 26% more likely to be opened if it contains a personalized subject line. Personalization can also increase your transaction rates sixfold. These are just a few of the reasons why the subject line is such a critical component of your email and why you need to get it right. Personalize your email by including your subscriber’s first name in the subject line as well as the greeting. Doing so increases the chances of your subscribers opening your app launch email and also using your new app. Make sure that you tell your subscribers why they should care about your app. Clearly and concisely explain to them the benefits they would get from downloading and using your app. This is what makes a great value proposition. 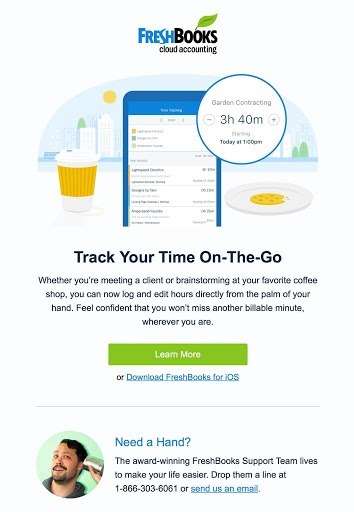 In the body of your email, include a quick rundown or summary of the best and most useful features that your app has to offer. For better highlighting, use bold text and explain the features only briefly. You can entice your subscribers to learn more about the app by using the next strategy. The primary purpose of your launch email is not just to announce your brand new app, but also to convert—through app downloads. This is why you need to place a prominent CTA in the email that will urge your subscriber to download your app. Use language like “Get the app” or “download the app today” and place the CTA in either the head or footer of the email. If your subscribers don’t want to download the app, it’s not the end of the world. They may just want more information regarding your app. In this case, include another CTA in your email that will provide subscribers with an in-depth guide containing much more detailed information about your app. While text explaining the features of your app is important, high-quality images of your app are ideal for making your subscriber understand it better. High-quality images of your app in action grab the attention of subscribers and show them what your app actually looks like. This will help you convince them to download your app. As an alternative to images, you can also use videos to showcase your app. Videos in an email can increase open rates by 19% and click-through rates by more than 50%, so it’s definitely a strategy you can consider. There is no one-size-fits-all approach to product launch emails. With companies of different types churning out new products practically every day, product launch email strategies will wildly vary. That being said, follow these tips, and you can be sure that your app launch will go a whole lot smoother. 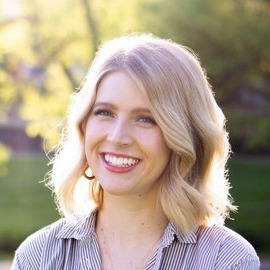 Lane Harbin is the Senior Content Marketing Manager at Campaign Monitor, an easy-to-use email marketing platform that empowers marketers to send targeted campaigns that grow their business. When she’s not geeking out over email marketing, she enjoys binge-listening to podcasts, catching up on the latest tech news, and constantly rearranging her living room. An app’s most critical time of growth starts on its launch date and continues up until the next three days that proceed it.